You already know that I’m a sucker for a good deal. A few days ago when I was shopping at Aldi I spotted zucchini on sale 3/$1! That’s a fabulous deal and I scooped some up. I already knew that I was going to make some yummy zucchini bread with my find! Shredding the zucchini didn’t take long at all. I don’t know why we have it in our heads that cooking from scratch takes forever. I had this bread whipped up and in the oven in no time! I wasn’t quite sure how much zucchini to shred for this recipe. I ended up shredding three zucchini and it was enough for two loaves of bread and 12 muffins. 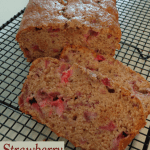 This bread does great in the freezer…if there’s any left! Preheat your oven to 350. Grease your loaf pan. Combine sugar, shredded zucchini, cooking oil and egg and mix well. Add dry ingredients and stir just till moistened (batter should be lumpy). Pour into your loaf pan and bake for 55-60 minutes. Cool in the pan on a wire rack for 10 minutes before removing it from the loaf pan. * You could also add nuts. And, instead of using loaf pans, you could cook your mixture in muffin pans. Don’t tell the kids how yummy this bread is and you’ll be able to enjoy it all for yourself! ;o) When I told my niece/nephews it was zucchini bread they made ugly faces. Once I talked them into giving it a try they loved it! This is a great way to get extra veggies into your kids’ diets! I can see my mom and sisters rolling their eyes now. Okay, it sounded good! 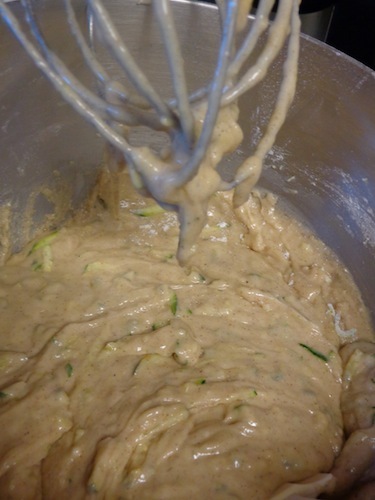 Love Zucchini Bread! 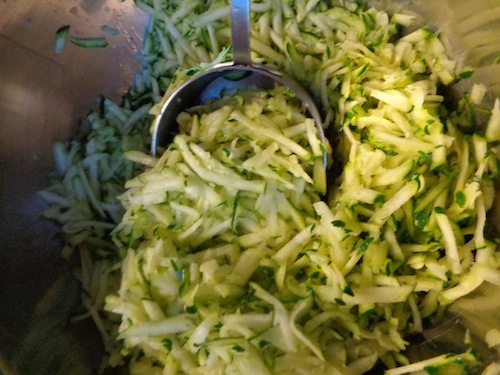 I freeze shredded zucchini in the summer just so I can make it in the winter. Freezing zucchini is such a great idea Trina! Do you have any special tips for freezing it? I just shred it, and make sure to press most of the moisture out. Then I put it in freezer bags in 2 cup measurements. Then I use it all winter! Thanks so much for the tip Bethany! Just tried this recipe, and it was super easy and absolutely delicious! 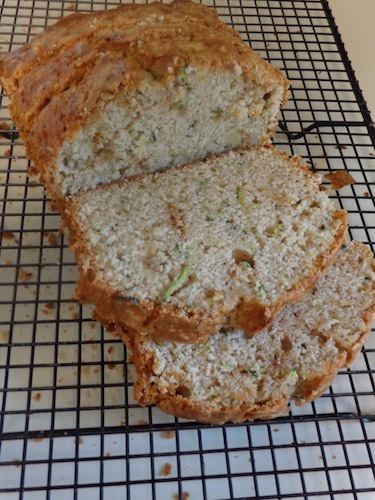 It’s my new favorite zucchini bread recipe! I’m so glad that you tried the recipe and liked it! I’m all about easy recipes and this is definitely one. 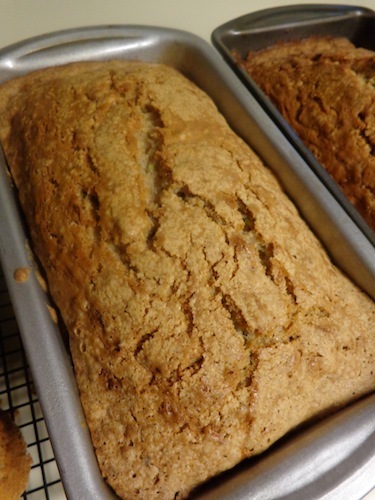 What an honor to be your favorite zucchini bread recipe! Fantastic recipe! I made it yesterday and added cinnamon chips (I can’t get enough cinnamon!) and it was wonderful. It actually has a slightly crunchy top, which I love! 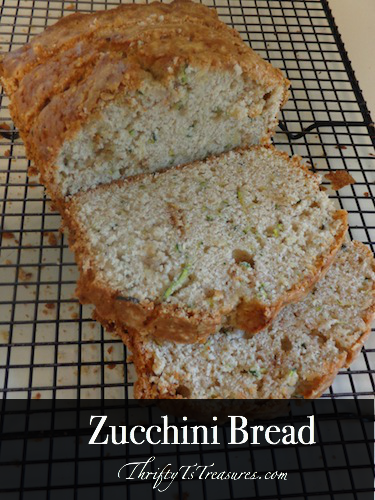 This is my new favorite zucchini bread recipe! Thanks! I’m so glad you liked it Cathy! 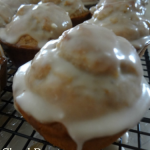 Adding cinnamon chips sounds fabulous…thanks for the tip! I haven’t made zucchini bread yet this year. I have lots of zucchini coming out of my garden though. Right now I have 6 sitting in my refrigerator. I’m going to grate them up and pack them away into the freezer. So I can bake up some zucchini bread soon. It’s just been way to hot to bake this week. Fabulous idea to freeze and use later, especially since it’s too hot to bake! We love grilled zucchini (and squash)!